Tourmaline is one of the most varied gemstones out there. 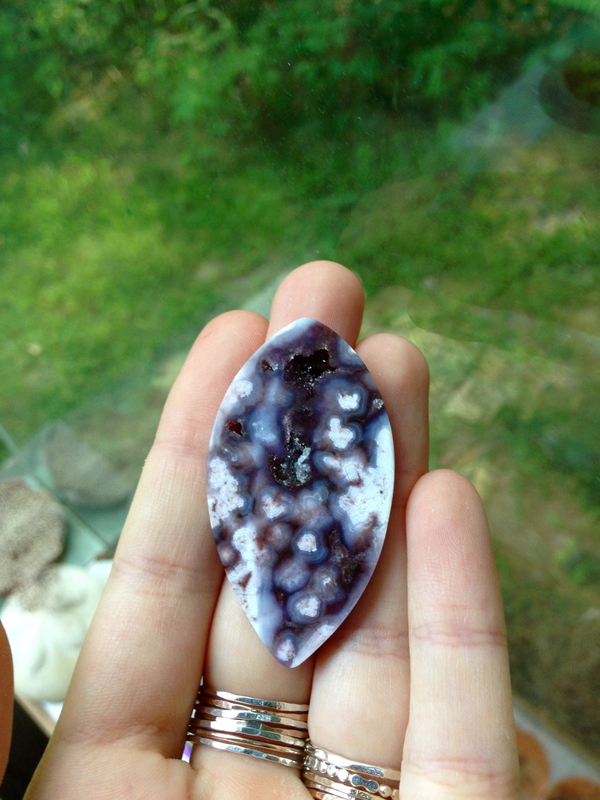 It ranks a 7-7.5 on the hardness scale, and can come transparent to opaque, in any colour (colourless to black). 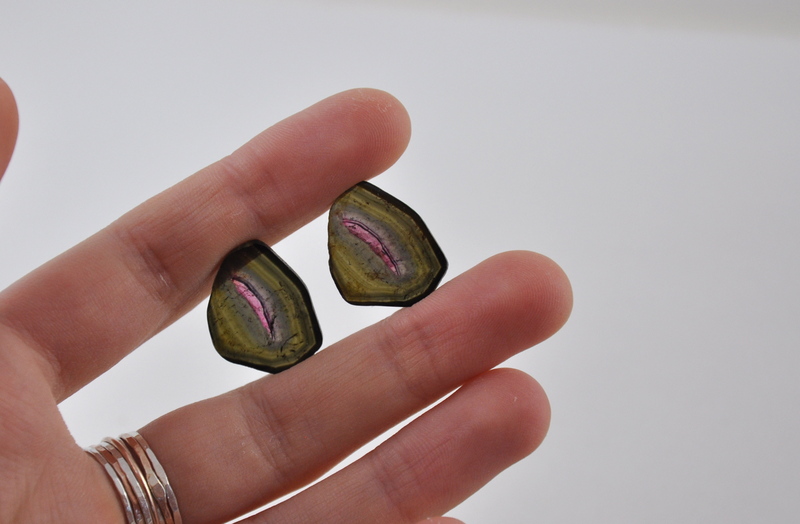 The tourmaline gem is actually a group of mineral species, but because some of these minerals vary with varying colours, they are simply termed “tourmaline”. Because there are so many colours, tones, and opacities to tourmaline, it can be mistaken easily and is usually termed solely by colour. There are many different varieties, for instance bi-colour, watermelon, chrome, etc. Rubellite tourmaline is a very rare type that was often mistaken for rubies in Russian crown jewels of the past. Tourmaline can hail from many places, including the USA, Russia, Sri Lanka, Africa, Brazil, Australia, and so on. Tourmaline has strong pleochroism, which means you can see different colours or depths of colour when viewed at different angles, such as when you rotate the stone in the light. Different varieties tend to have different clarities. Those of the blue/green variety can be eye clean, while the pinks of reds of the spectrum almost always have eye-visible inclusions. 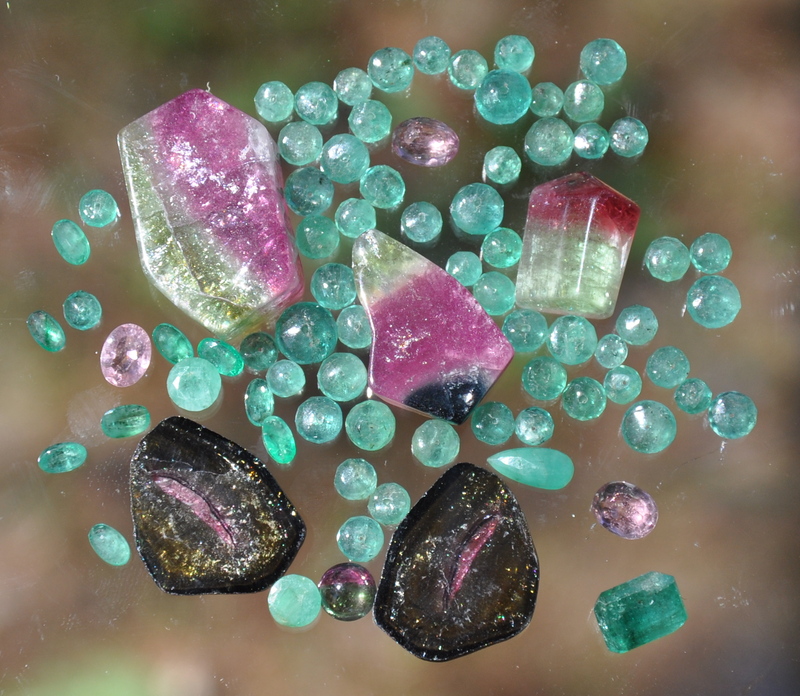 Tourmaline can come natural, or is sometimes heat-treated to bring out colour depth. Tourmaline is both pyroelectric and piezoelectric. If a specimen is put under a pressure or temperature change, it will generate an electrical charge (how cool is that!?). When this happens, dust particles become attached to the crystal ends. 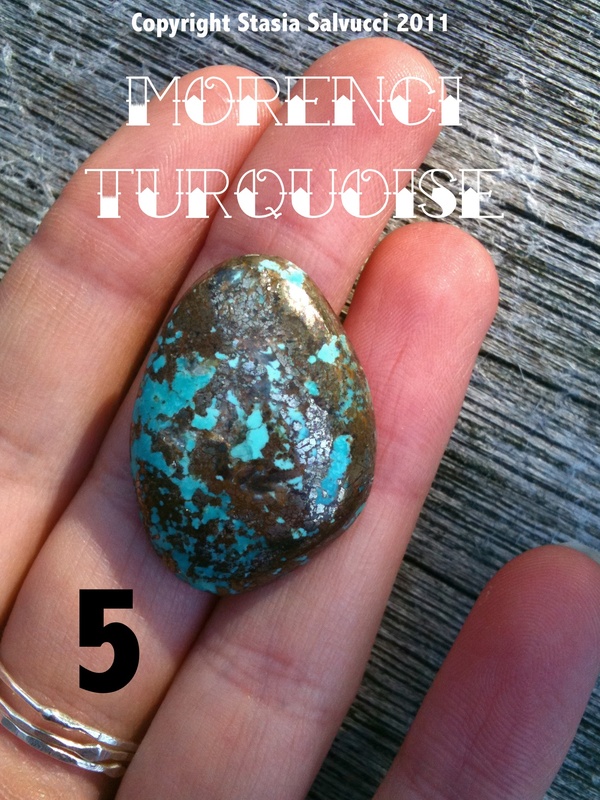 For a long time tourmaline was known in Europe as aschentrekker (ash puller) as the stone was used by the Dutch to pull the ash out of their meerschaum tobacco pipes. 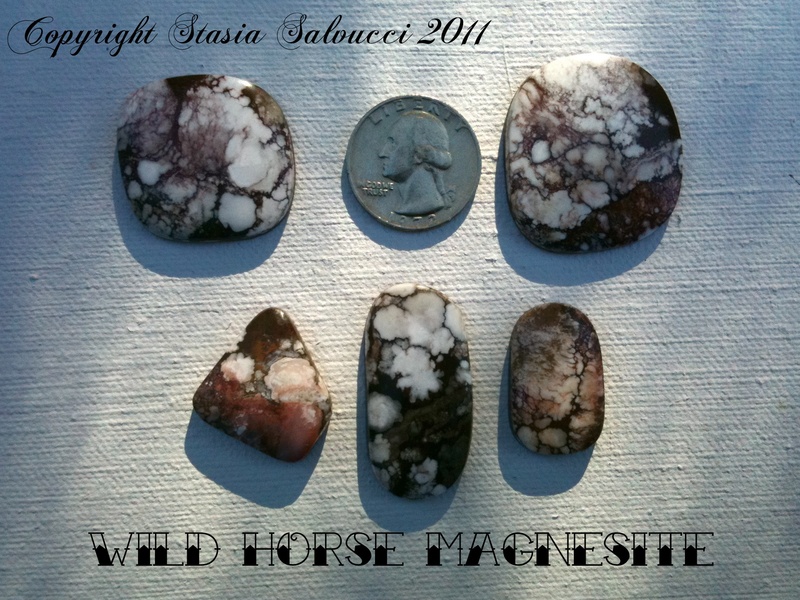 May birthstone, ranking a 7.5-8 on the MOH’s hardness scale. Personally one of my all time favourites… but being a May baby with green as a favourite colour, I’m biased. The colour of emerald (aka ‘emerald green’) is so unique it earns its status as one of the four “traditional” precious gemstones, along with diamond, ruby, and sapphire. The colour of emeralds is caused by small amounts of chromium and vanadium. 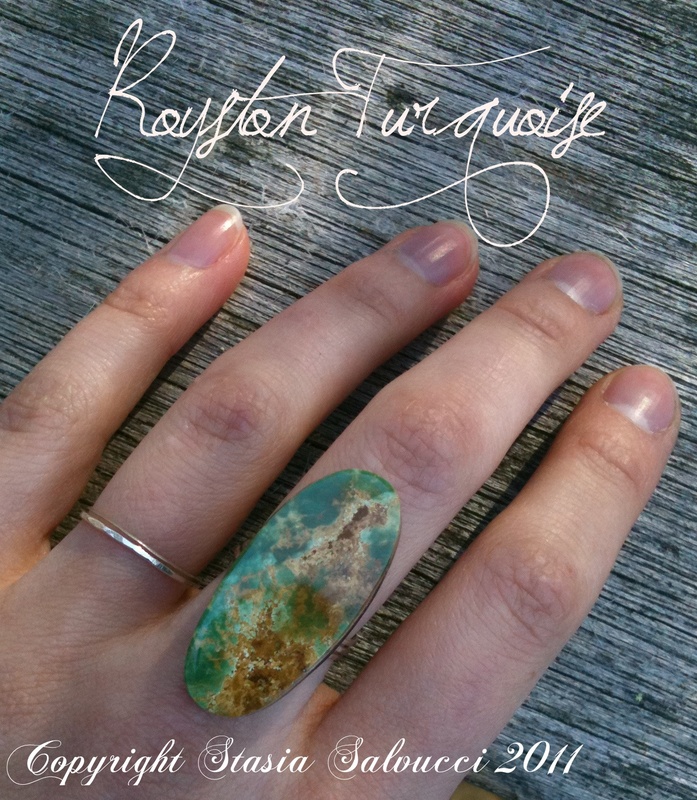 It is in the Beryl family, and is essentially just the highest quality of beryl that can come transparent to opaque. Emerald is a particularly brittle gem. Natural emeralds almost always have inclusions and should be handled more gently. They are also almost always treated with oils, resins, or waxes. 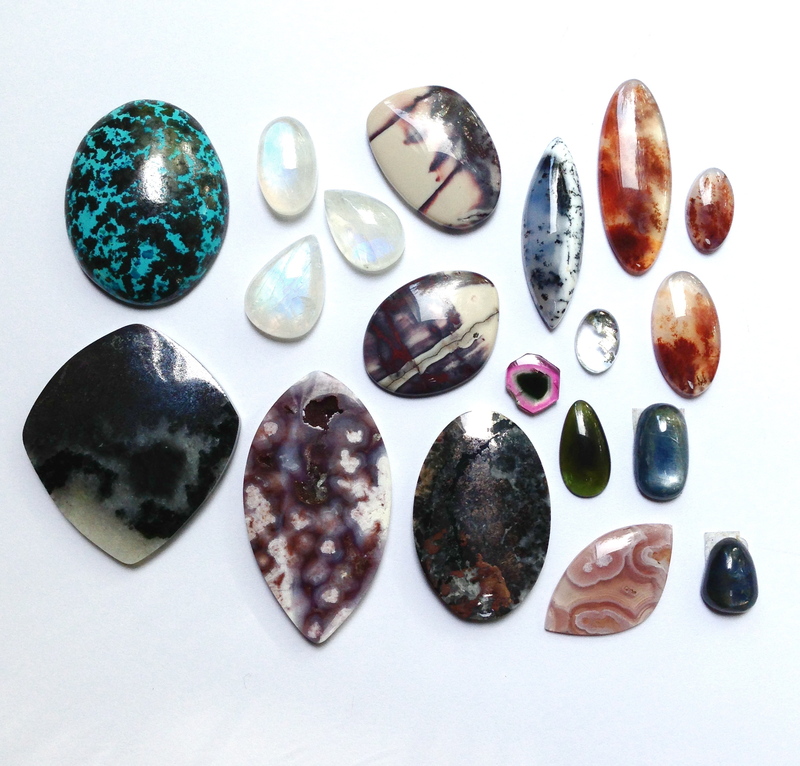 Exceptions are made for this treatment and for inclusions more than other gemstones. 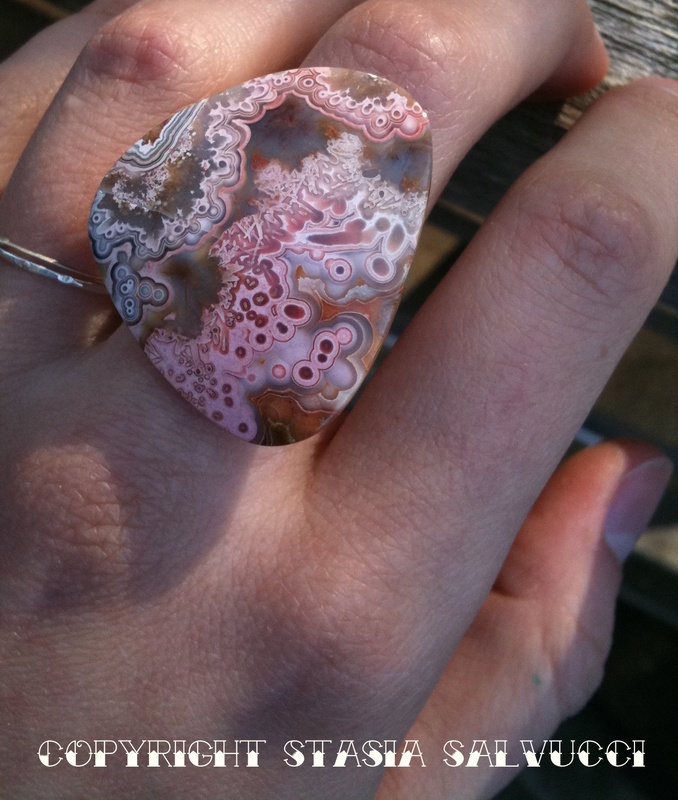 Inclusions and flaws are not always seen as negative, and can be an assurance that the gem is natural. Quality is determined by colour, and occasionally geographical origin. 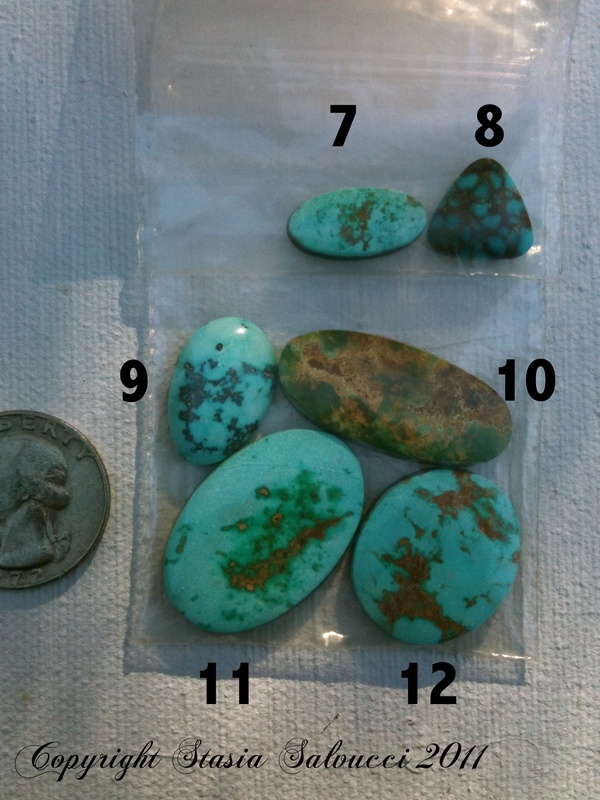 Emeralds can come from Africa, India, Russia, Brazil, Peru, among other places. Columbia is the center for mining emeralds, and South America in general produces the highest qualities. There a many stories and myths circling the emerald. The Egyptians mined it near the Red Sea, and it was said to be a favourite of Cleopatra. The Aztecs and the Incas both collected and valued emeralds, possibly regarding them as symbols for good luck and foresight. My work load has become exceptionally large, and I can no longer be accepting any custom orders from May through the end of July. Unless I have already started conversations with you regarding a project, I simply don’t have the extra time for them right now. This doesn’t include “made to order” items. 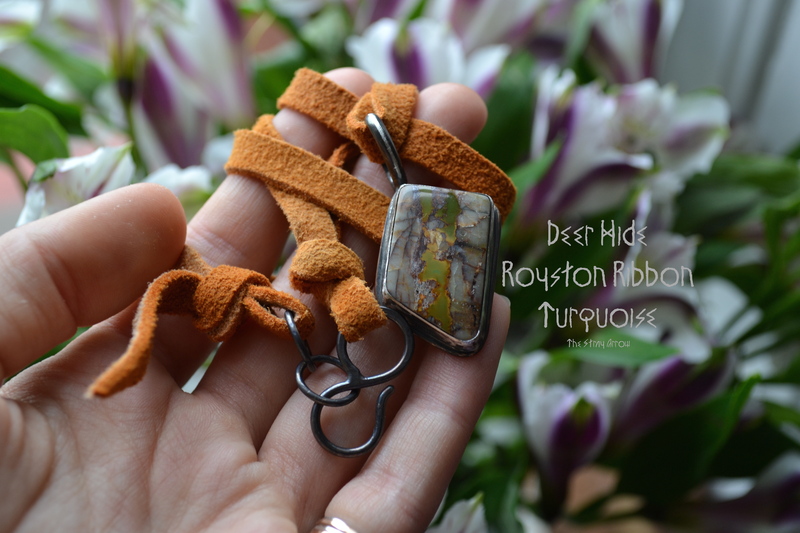 Essentially what is listed in the Etsy Shops is what’s available. This hiatus does not apply to wholesale or consignment orders. A congratulations to the two winners of my Instagram Giveaway! For those of you unfamiliar with the application, you can do a little snooping and follow me @thestrayarrow, or check updates by clicking on the photo below. 10% OFF ALL OF MAY! For the entire month in the Main Shop, there is a 10% off deal on your order with the coupon code in the photo below. PLEASE do not forget to apply the code at purchase. I cannot issue refunds for those that forget to do so. Enjoy! So I found more gems than I could have hoped for, Tucson was an absolutely divine blast! 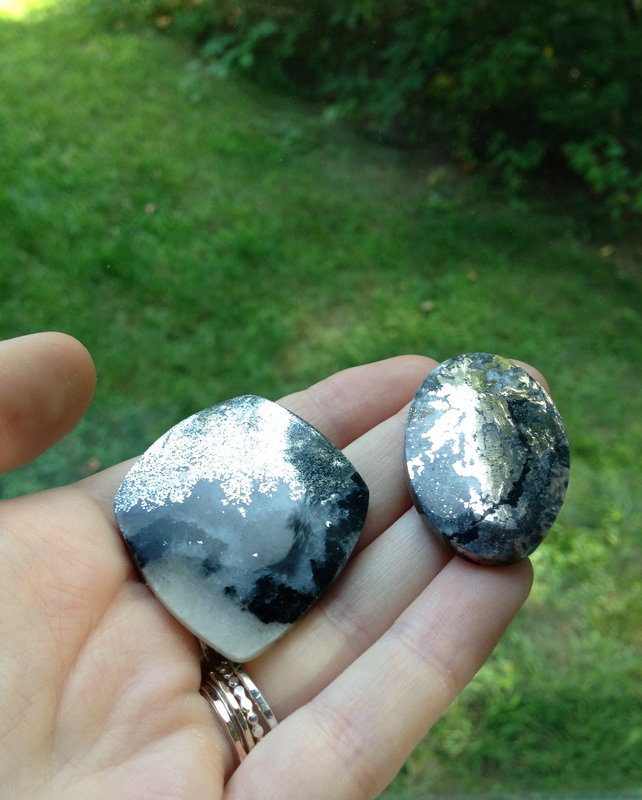 I met the nicest people there and was able to track down stones from some really rare kickass mines. Here’s a little (but heads up! 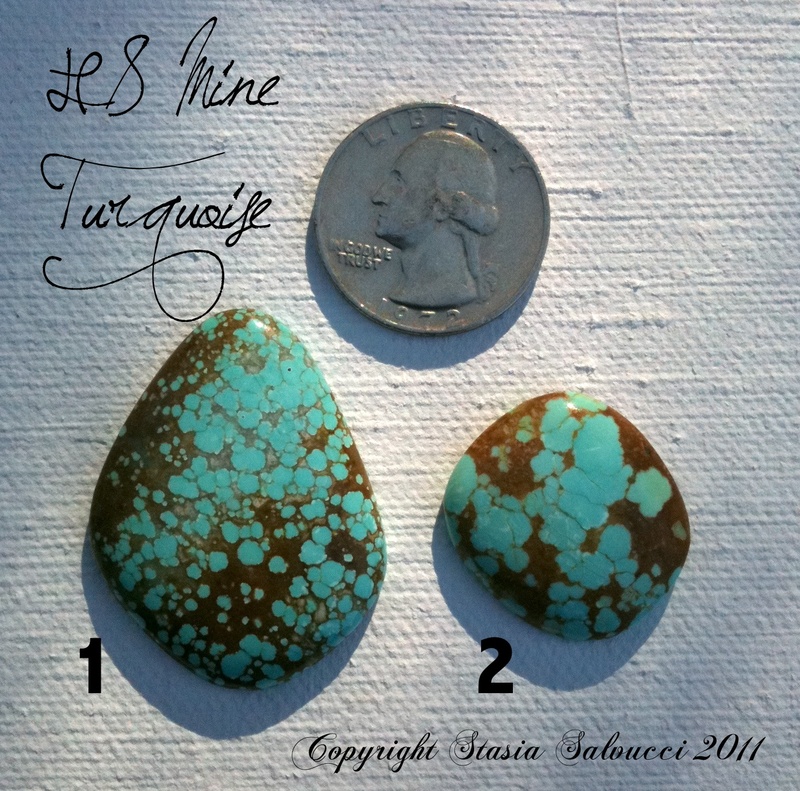 long…) taste of my treasures and some info on the different turquoise mines, so you know how incredible these finds are and why I drooled over everything the entire trip! 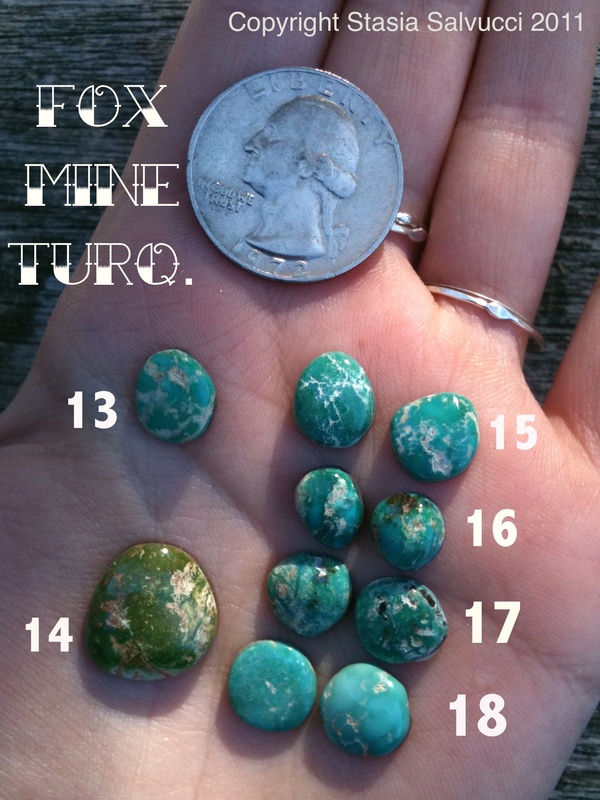 Now this is a mine I’ve barely heard of and didn’t expect to find at all-this super nice couple after hearing I was hunting for turquoise dug through all their cabs to show me their lot-what sweeties. These two were so nice I had to scoop them up! 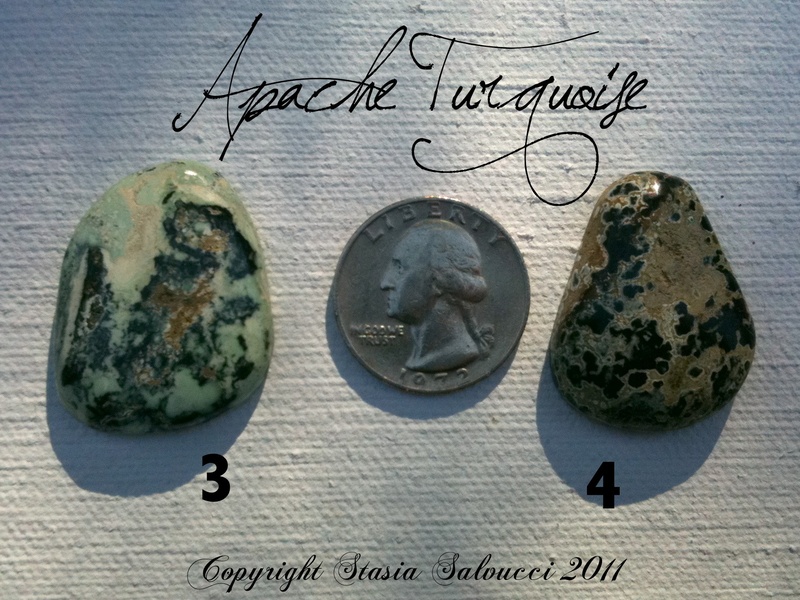 The Apache Mine is known for its green turquoise in black matrix, and is still operated today but is a very small mine so not much is produced. Another vendor there that I stumbled upon towards the end of my trip was this rad fella named Casey of lovenlifedesigns.com (CHECK IT OUT!). 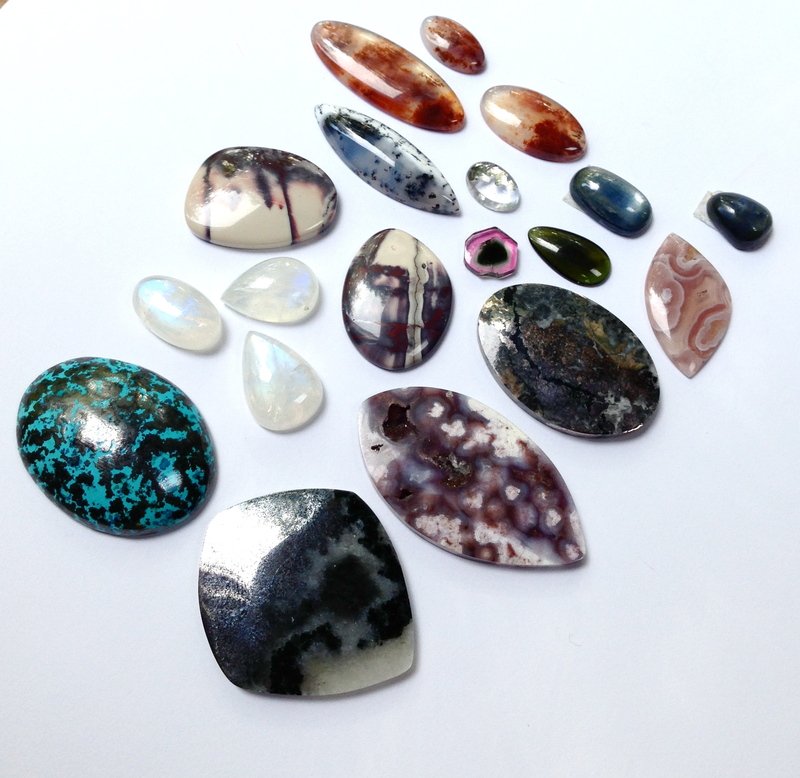 I swear I was drooling over everything, the stones were so nicely displayed and cut/polished it was grand. 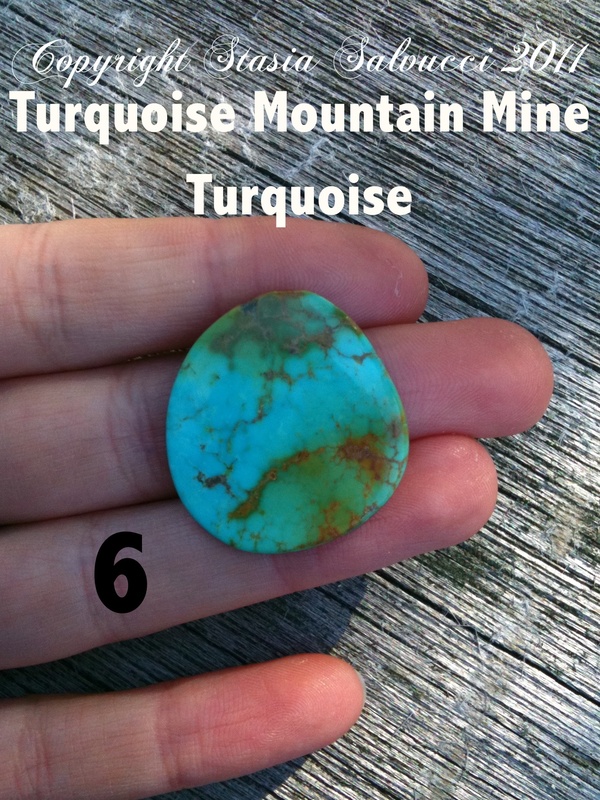 The next photo are turquoise stones all from him-numbers 8&10 are from the Royston Mine, and the rest are CRIPPLE CREEK!!! For the 99% of you who have no idea who I’m on about, get excited. This wasn’t even on my hunting list as I never expected to ever find any. Ever. Royston is actually a district that contains 3 different mines in Nevada. Royston mines, along with the Pilot Mountain mine, are known for their extreme color variations. Blues, greens, rusty bronze browns and dark colors spin together with or without matrixes to make these lovely stones look like landscapes (you can see why this painter *loves* these mines). 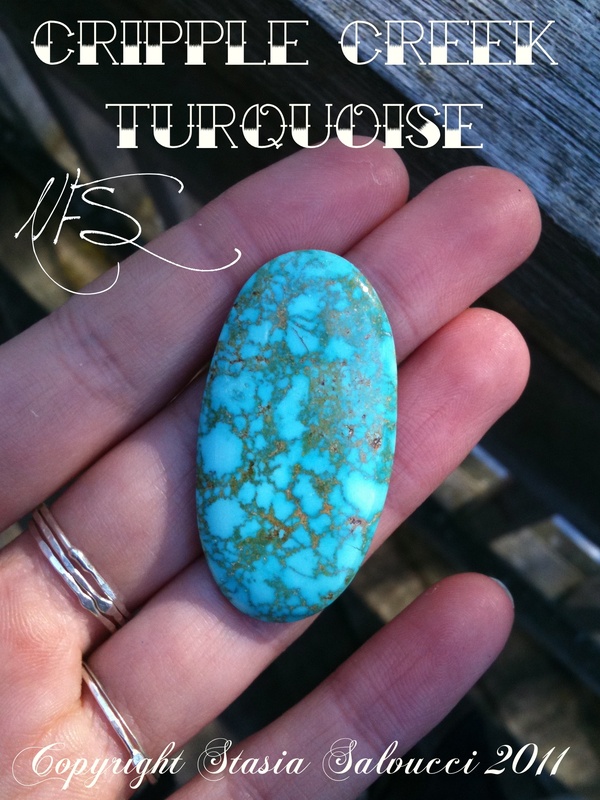 This turquoise is still being mined today and continues to be one of the most popular! 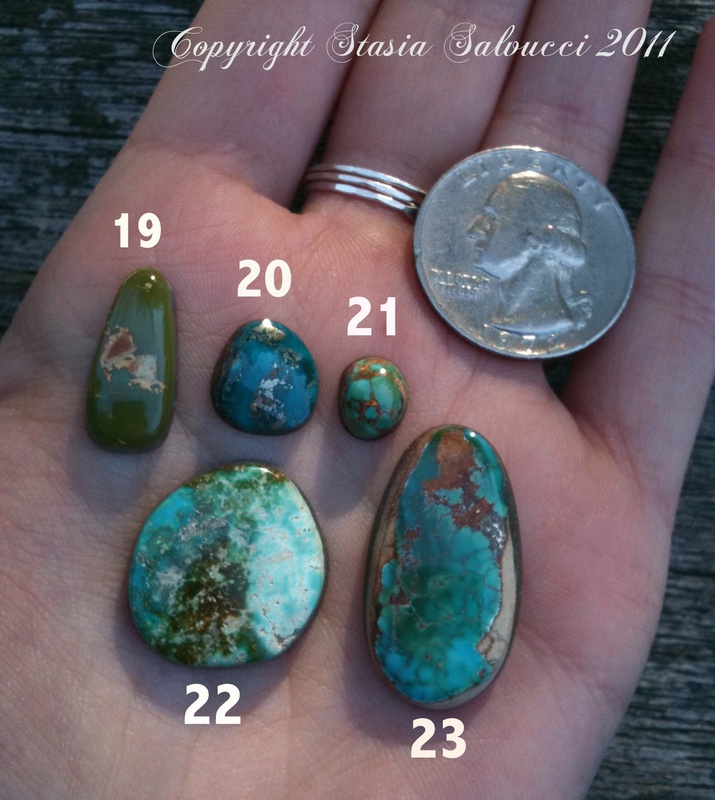 So those are selections of the turquoise treasures I found…yes there are more…but those are just for me, or for later! 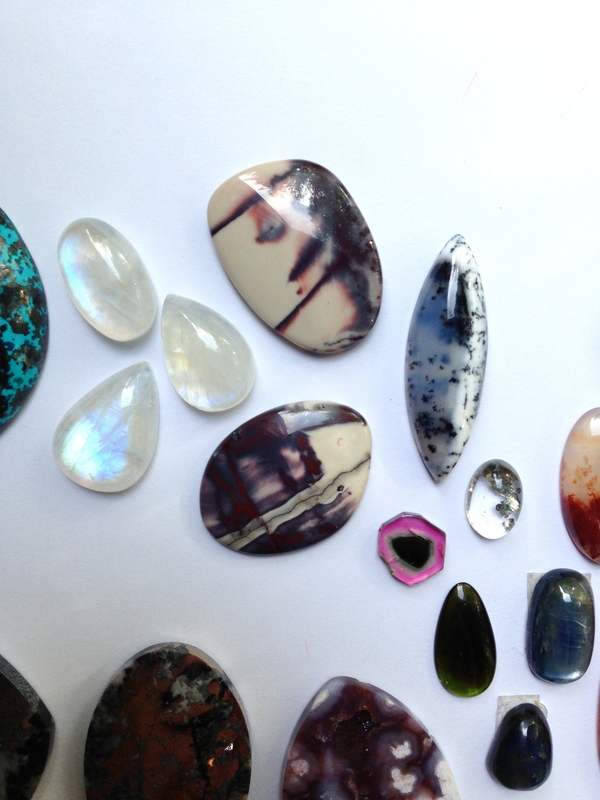 I was surprised to find a multitude of other gems at the many gem shows in Tucson. 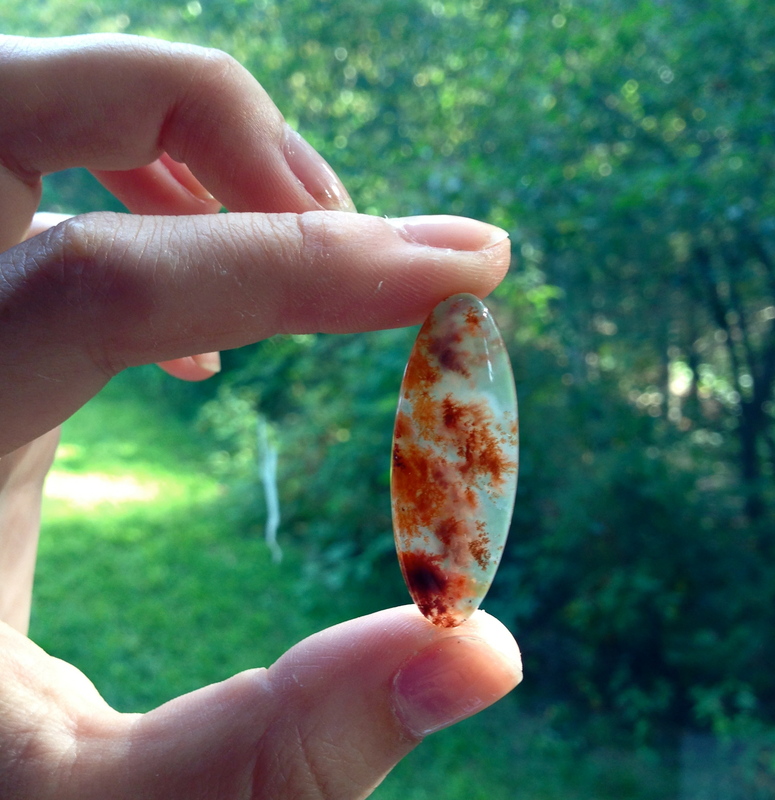 I found some really great and rare stones there, so here are a few of those goodies too! 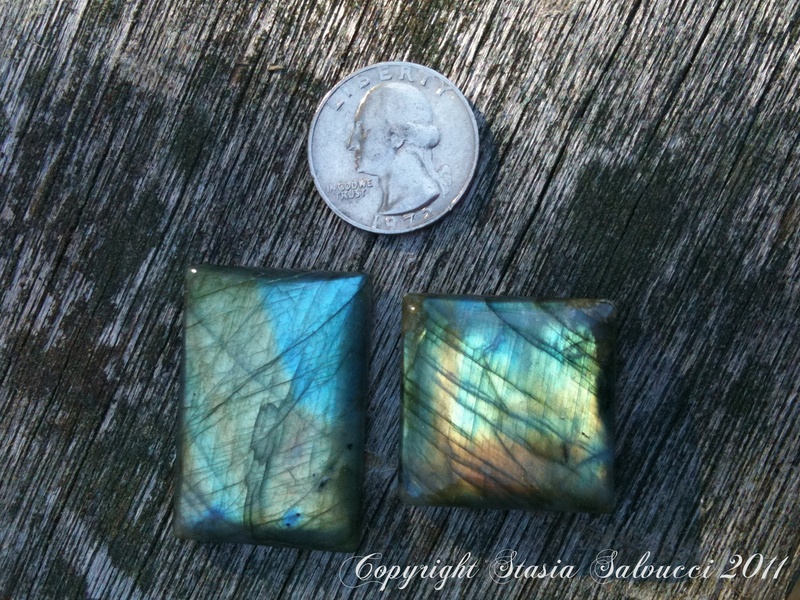 more labradorite, because everyone loves the flashy “butterfly wing” stones. 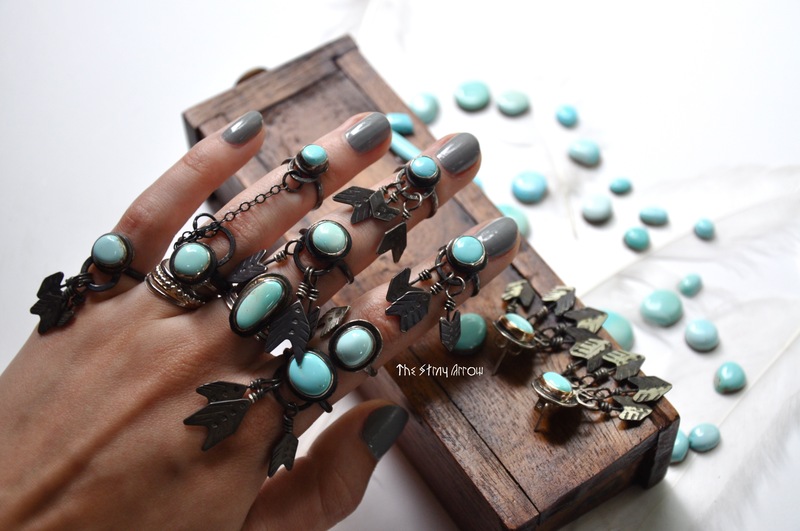 These are perfect for fat cocktail rings…a little tip-the more blue the flash, the higher the quality! This is so wicked. Really. 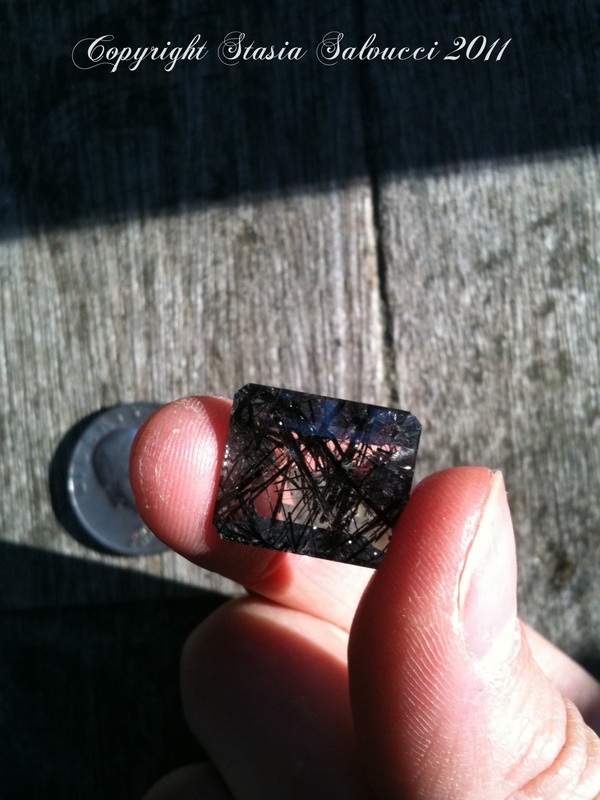 This faceted gemstone is a quartz, featuring slices or “needles” of black tourmaline within it. This rock is NATURALLY like this, and rare for this many needles in this clear a matrix. Usually you’ll see golden rutilated quartz, but the black stuff is hard to get man. 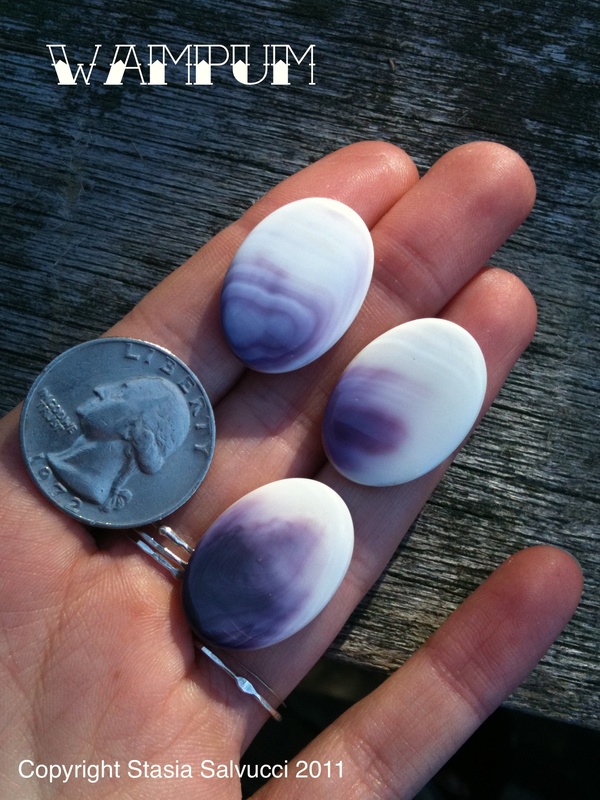 Wampum is carved from the quahog clam shell found on the shores of the East Coast. If you don’t know about it, but have heard the word before, you may have been told in was like “Native American Indian money”. Nope. It was only thought to be used financially because the Europeans assumed so from the importance the Natives bestowed upon it. The carved wampum has actually been used for hundreds of years as trade, or for treaties. 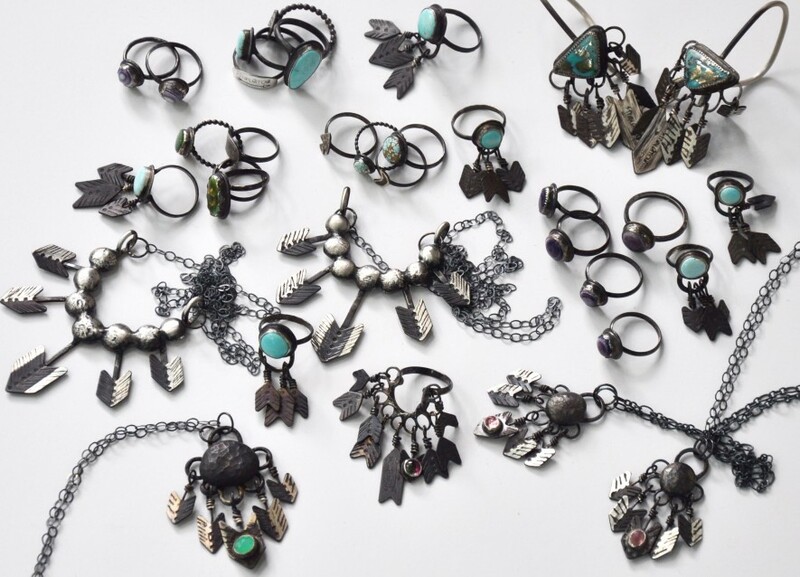 It could be strung into beaded strings called “condolence strings” for a mourned one, or expertly beaded into belts-famously known and seen in many museums- for peace or war treaties between tribes. 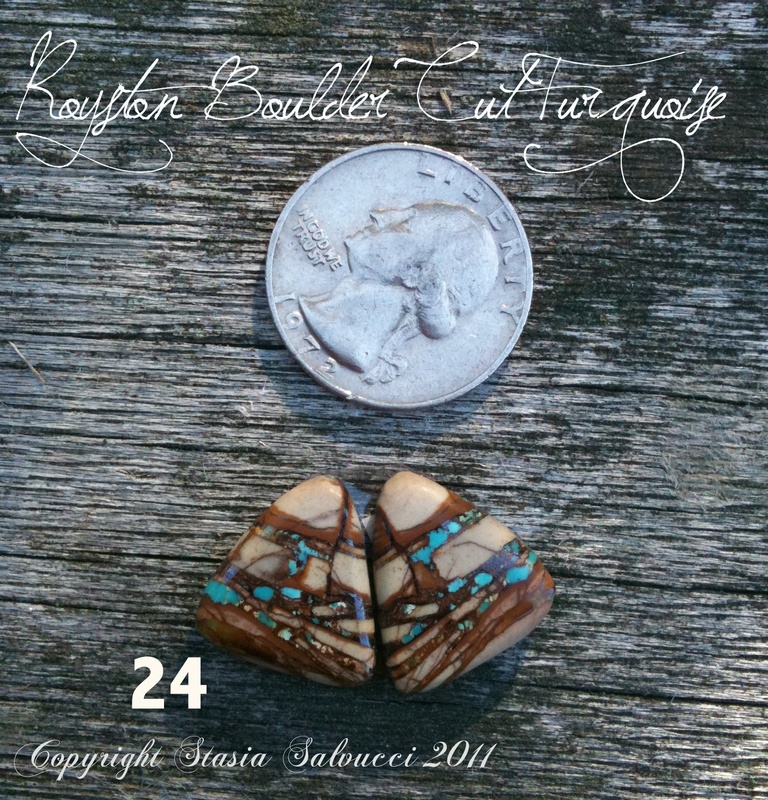 Although used by many different Woodlands (Eastern) tribes, it is most famously seen used by the Iroquois (Haudenosaunee). The Iroquois Confederacy consists of the 5 tribes of the eastern longhouse-one tribe for each beam, or one tribe for each part of the “Hiawatha belt”. The tribes are (in the Europeanized names and spelling): Seneca, Cayuga, Onondaga, Oneida, and Mohawk (me!). 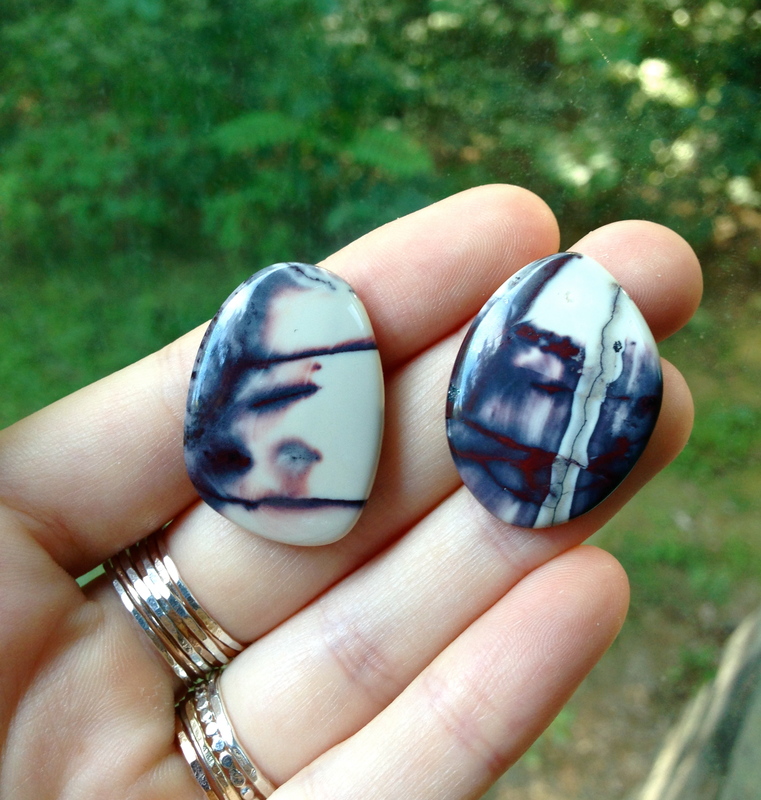 I could go on for hours gabbing about the two origin stories of wampum and the different museums it is kept in, but for the sake of making this post not quite long enough to make your eyes blurry I’ll refrain! 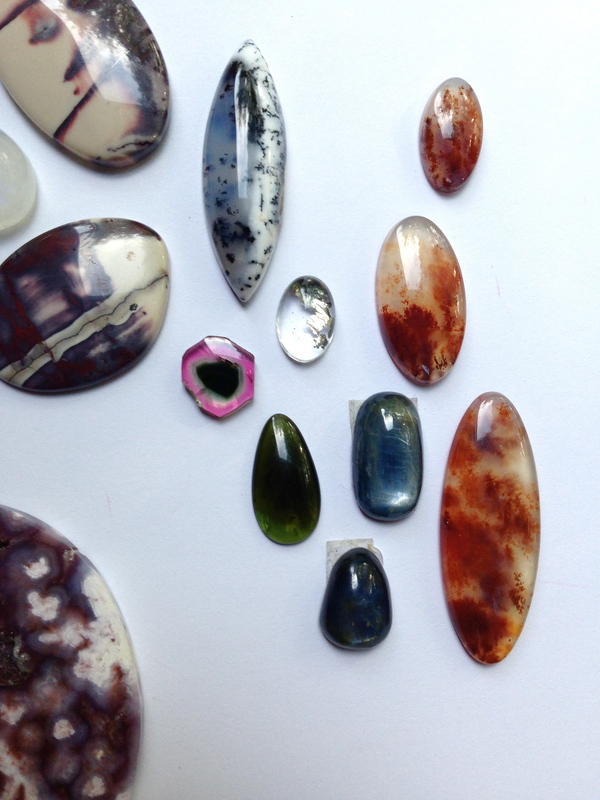 All great stones, all great quality, all rare, all here for custom work…I’l be using these for designs soon to be found in my Etsy shops, so if you see something you like and can envision on yourself, don’t be quiet for long! Also coming soon-GOLD BEZELED GEMS, AND GOLD “NO-SEE-EM” STACKING RINGS!! !